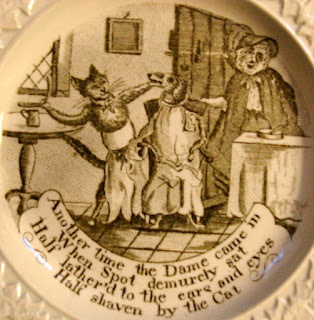 In keeping with my blog theme of "what have I learned from transferware," I present here "Dame Trot and Her Cat." 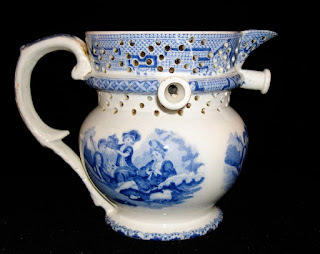 The following is an except from an article I wrote for the Transferware Collectors Club Bulletin in the Spring of 2006. If you are interested in learning more about the TCC, go to http://www.transcollectorsclub.org/. The purchase of two pearlware children’s plates sent me on a Google rampage of many hours. 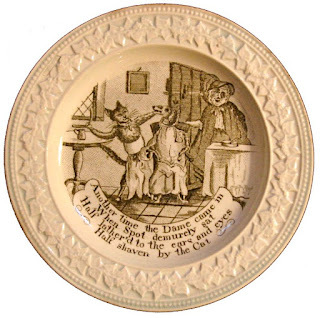 The plates feature a cat and a dog, along with a nursery rhyme depicting the cat in a position of superiority! What a clever cat, I thought. 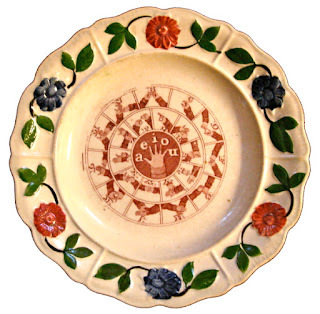 How unusual to have a cat featured on a piece of English pottery from the first third of the 19th century. It was easy to figure out the date of the plates, as there is a Clews mark (1813-1834) clearly impressed on the back. Each plate has a different verse, which led me to believe the verses were part of a nursery rhyme. Being a cat lover, I was delighted and intrigued. As an English literature major in college and a teacher of young children for 25 years, I wondered why I had never heard the verse before. 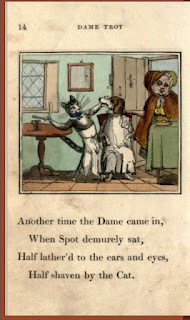 After the aforementioned googling, I discovered the verses were part of a nursery rhyme in the mode of “Old Mother Hubbard” titled, with various permutations, as “ Old Dame Trot And Her Cat.” “Old Mother Hubbard” and “ Old Dame Trot And Her Cat” are two of the earliest nursery rhyme books. “Old Mother Hubbard” was published in 1805 and “ Old Dame Trot And Her Cat” was published in 1806, each by J. Harris, corner of St. Paul’s Church Yard, London. 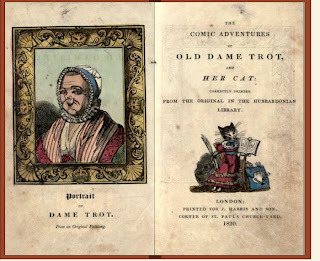 While we all grew up knowing and reciting “Old Mother Hubbard,” I doubt few of you have ever heard of “Old Dame Trot And Her Cat.” Dogs were the domestic pet of choice in the 19th century, so it is really no surprise that a nursery rhyme that features an intelligent and definitely alpha cat was not so appealing. I’ll venture that cats didn’t gain in popularity as a cartoon hero until the advent of Felix and Garfield in the 20th century. 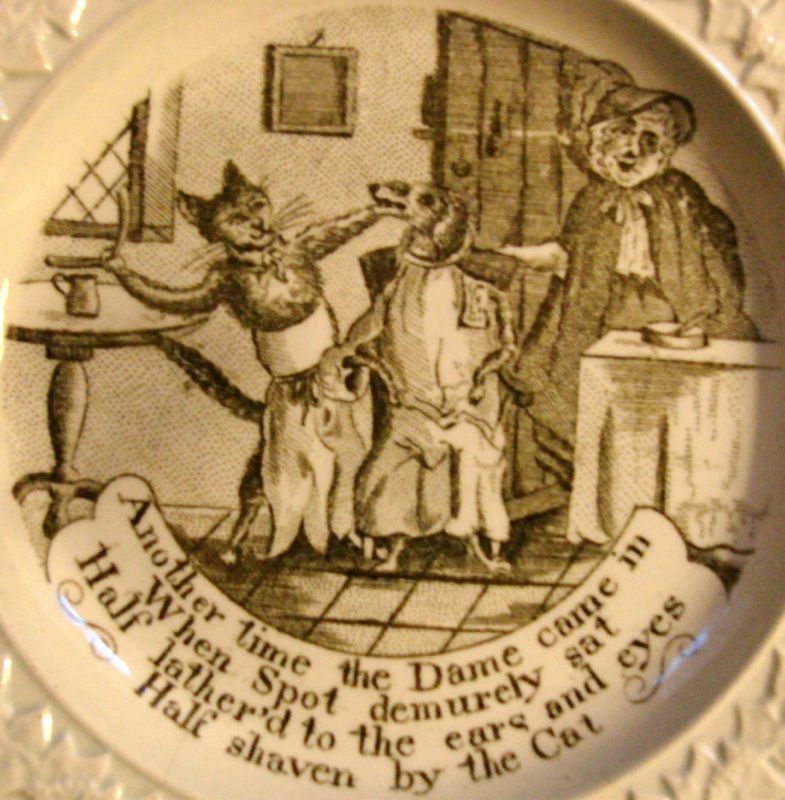 The plate seen here illustrates the rhyme "Another time the Dame came in,/When Spot demurely sat,/Half lather'd to the ears and eyes,/Half shaven by the Cat." 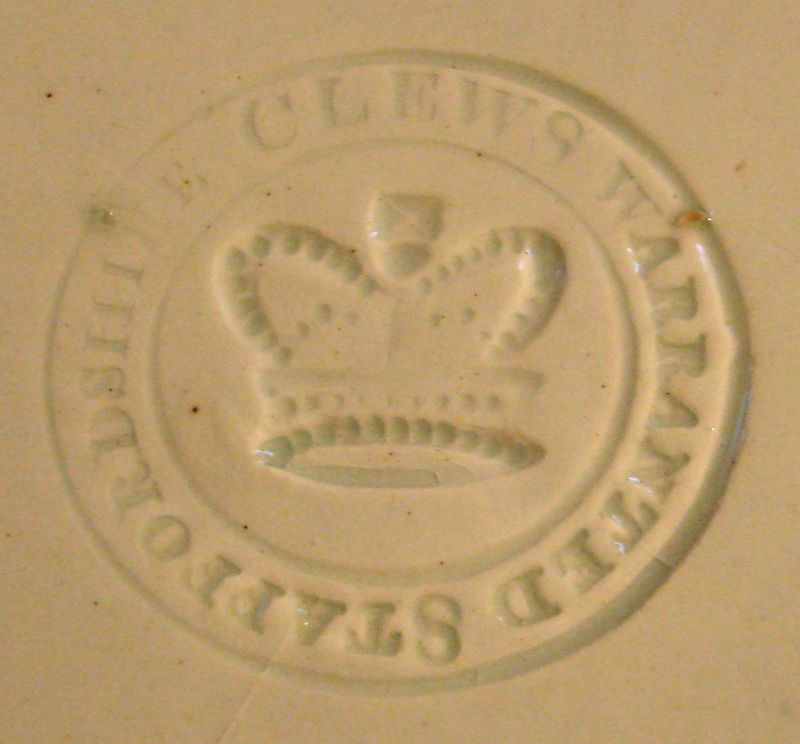 The source print for the plate is found above. 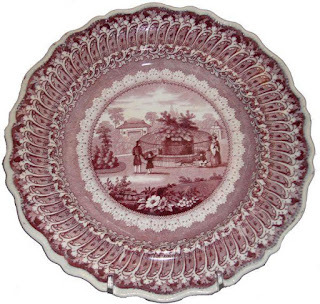 So far, there are five different "Dame Trot" plates in the TCC database, along with their source prints. 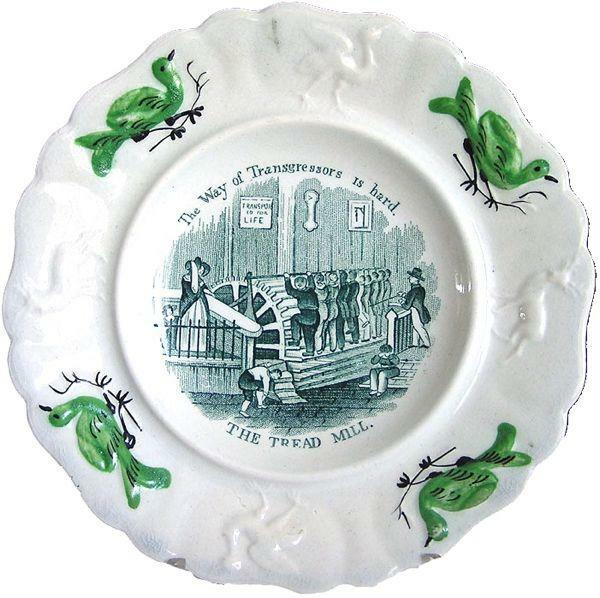 In keeping with my blog theme of teachings from transferware patterns, I must introduce you to "The Tread Mill." 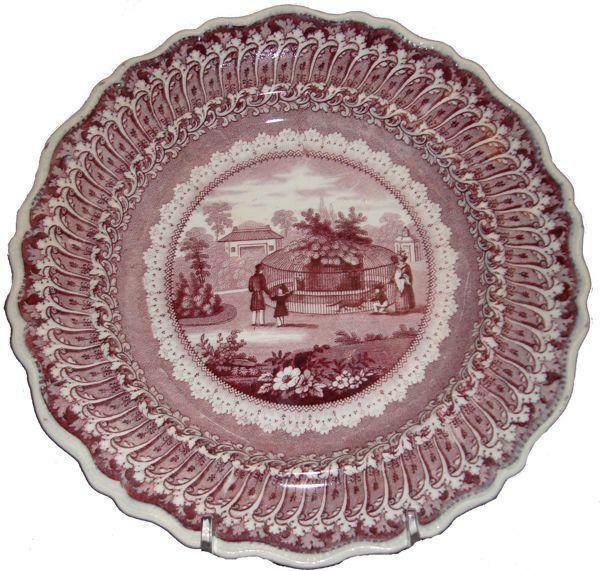 It is a pattern found on a 6.5 inch plate with a molded animal border that was intended for a 19th century child. 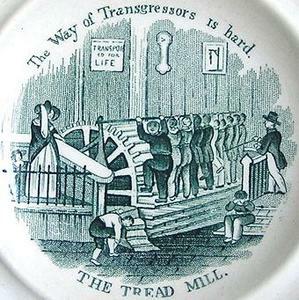 Sir William Cubit, a 19th century civil engineer, designed a treadmill for English prisons. A typical treadmill shift lasted eight hours. My experience with an exercise treadmill makes the thought of such a long time on one seem extraordinarily cruel. Of course, I found twenty minutes excessive. The sign on the wall of the above pattern says "Transported for Life" (perhaps to Australia) and the picture is of a gallows! Children's plates were intended as gifts for good children. Perhaps this pattern was intended to frighten the children in order to keep them good! 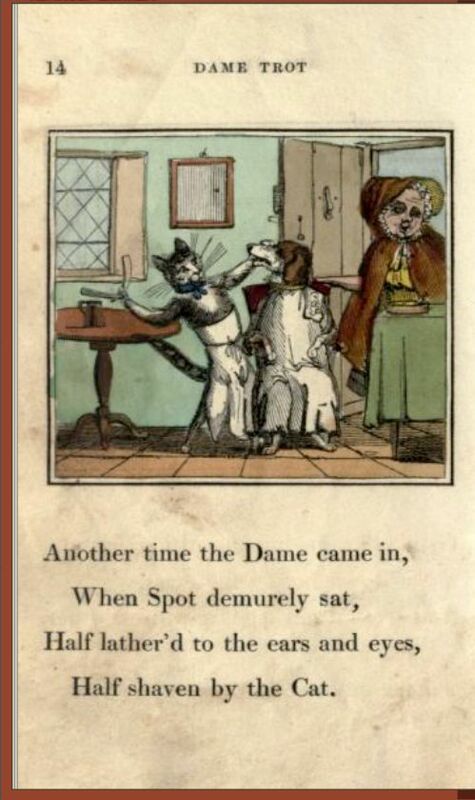 (Notice the poor weeping child on the bottom right). 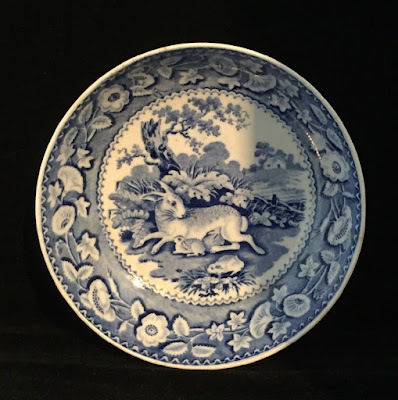 I started this blog to share the knowledge that I have gained from looking at patterns on 19th century British earthenware. 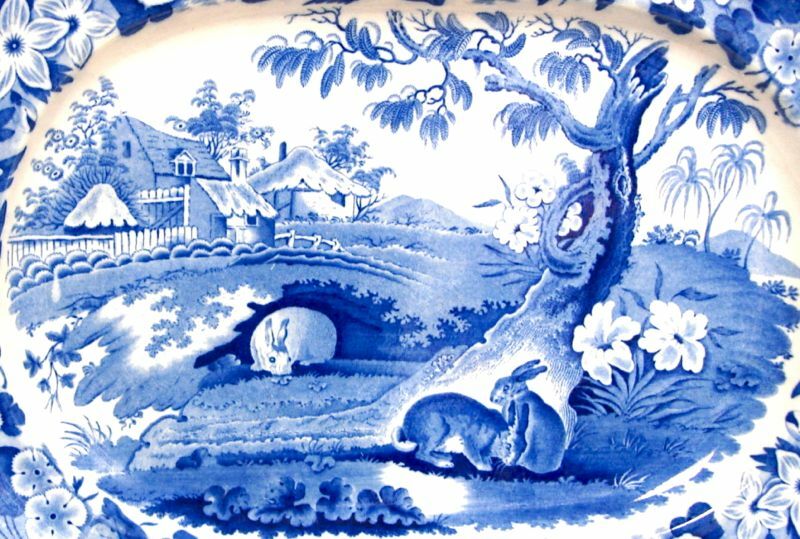 As an editor of the Pattern and Source Print database of the Transferware Collectors Club, I look at many patterns. 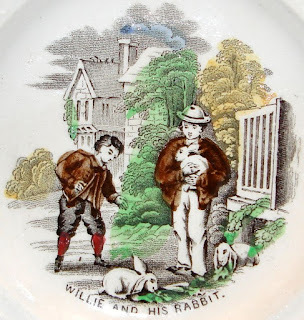 The rabbits on this child's plate (notice the molded alphabet border), "Willie and His Rabbit" looked like French Lops. However, when I did a bit of research, I discovered they were English Lops. The English Lop has longer ears than his French cousin. 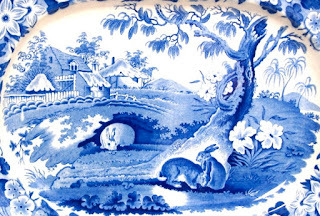 It was arguably the first rabbit to be bred as a pet rather than for its fur or meat. 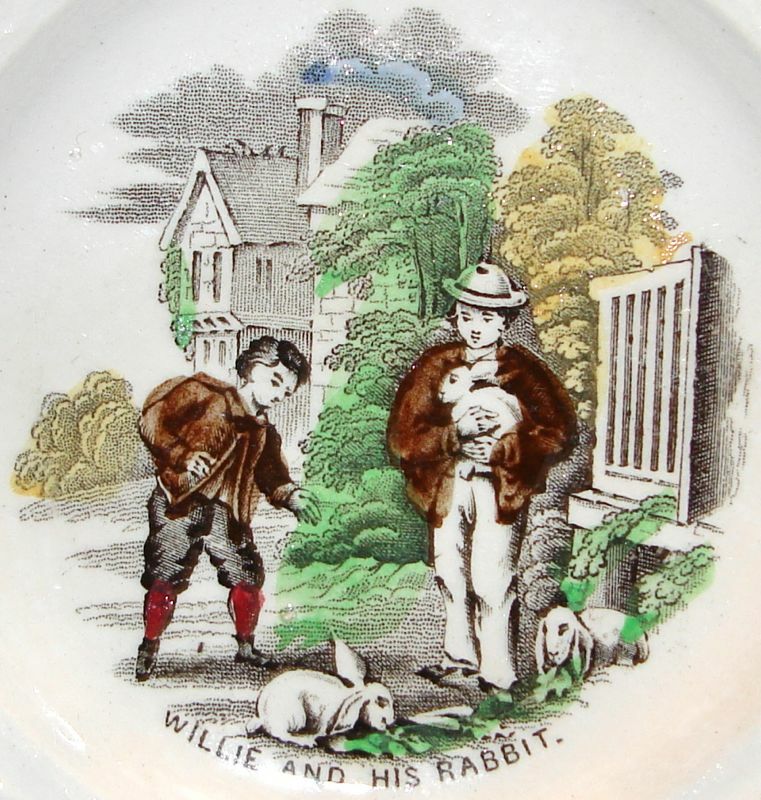 The English Lop was a very popular pet in the 19th century and remains popular today. 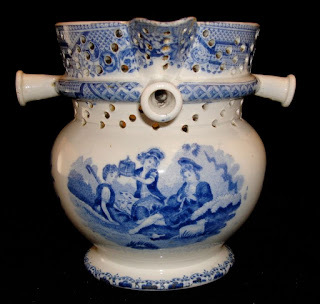 There has always been an interest in collecting other living creatures with whom we share our planet. Documented pictographic and hieroglyphic records of animals in menageries go back to 2500 B.C. in Saqqara, the ancient burial ground or necropolis of ancient Egypt. 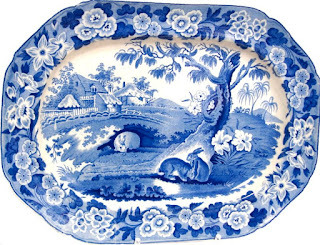 But since this is an English transferware blog, I shall focus on animal keeping in England. 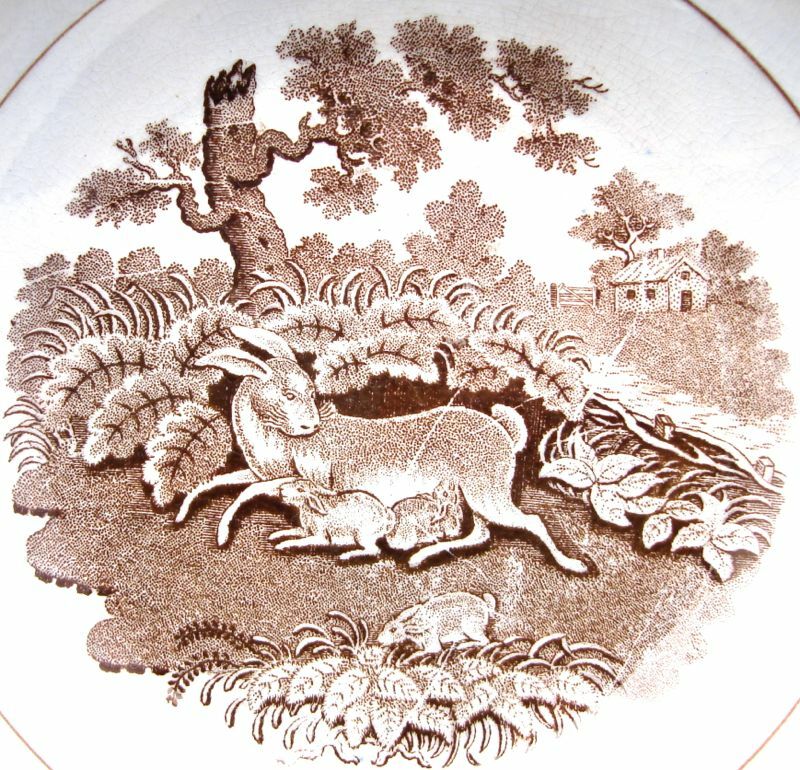 In the 12th century, King John kept a menagerie at Woodstock, the present site of Blenheim Palace. 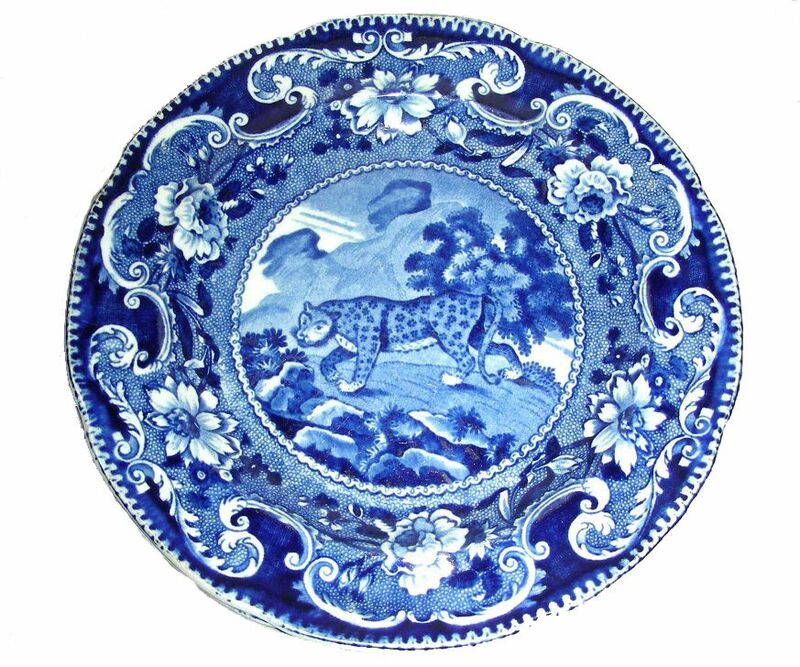 Henry III, his great-grandson, moved the collection to the Tower of London in 1252, when he was given a gift of several lions or leopards. 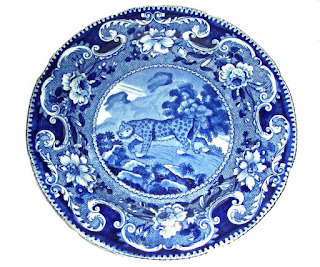 Gifts of exotic animals were common in ancient times and still are today. 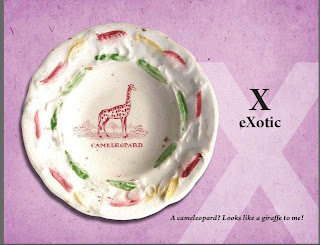 Queen Elizabeth II gives her animal gifts to the national zoos. 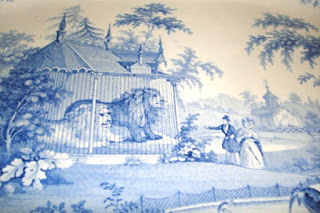 The Menagerie served as a source of entertainment and a symbol of the wealth and power of the monarchy and England for nearly 600 years, from 1252 until it merged with the London Zoological Gardens in 1831. 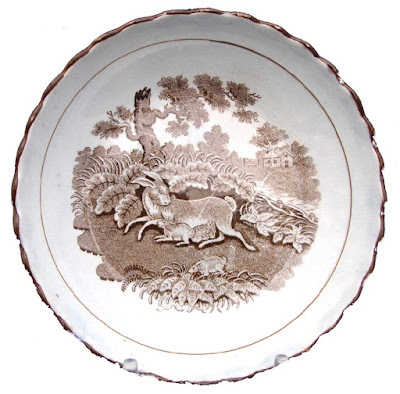 In the late 18th century there was a shift from keeping animals to studying them. This change came out of expanding European exploration that made exotic wildlife, both flora and fauna, more accessible. 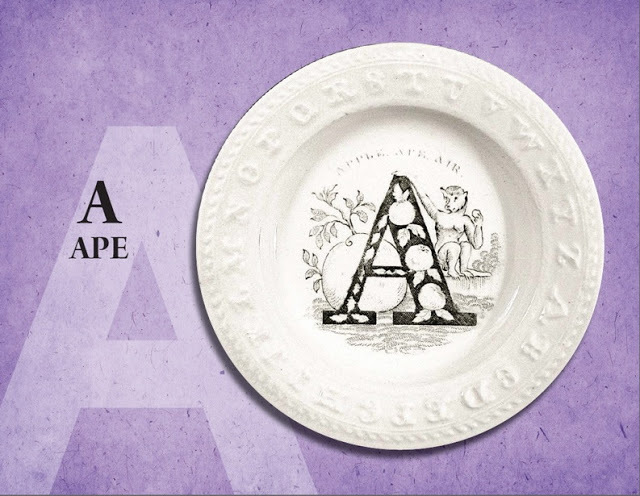 There was enthusiasm on the part of amateur naturalists as well as scholars to produce books depicting the new discoveries, catalog different species, and establish societies and zoos. 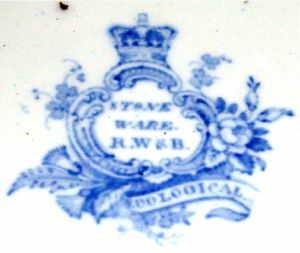 In England, scientific interest in flora and fauna led to the founding of the London Zoological Society in 1826 and the opening of the London Zoological Gardens in 1828 in Regent's Park. The potters always tried to capitalize on the latest fashion and passion. The London Zoological Gardens was immensely popular, so the Staffordshire potters copied pictures from books and magazines that showed the early zoo. 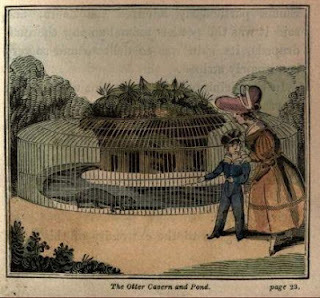 By the way, the word “zoo” didn’t come into popular parlance until the 1840s (obviously a shortened form of the word zoological). The photos above show a circa 1830 pattern from James & Ralph Clews' (1813-1834) "Zoological Gardens" on an 8 inch plate. It was copied from a children's guidebook called "Henry And Emma's Visit To The Zoological Gardens, In The Regent's Park," by James Bishop, 1830. 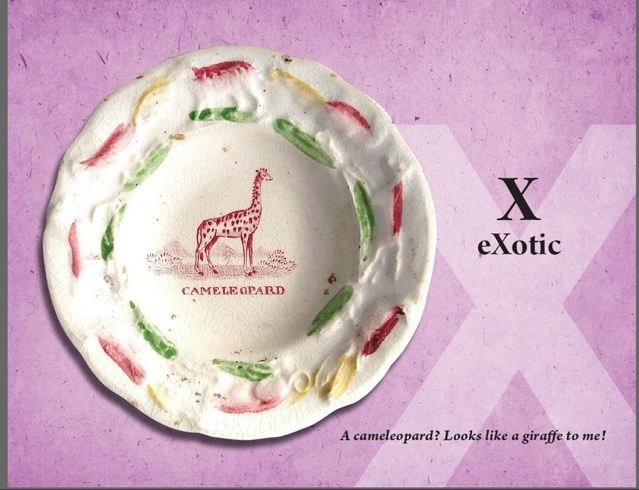 The plate is part of a large dinner service that includes many other animals and their zoo enclosures. 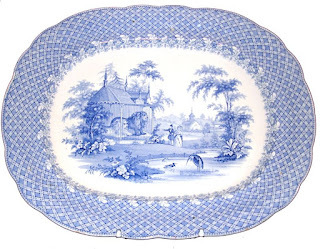 By the way, this pattern and many others in the series can be seen in the Pattern and Source Print Database of the Transferware Collectors Club. 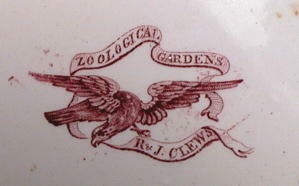 And, the London Zoo is still located in Regent's Park. However, the large animals live outside of London at the Whipsnade Zoo. 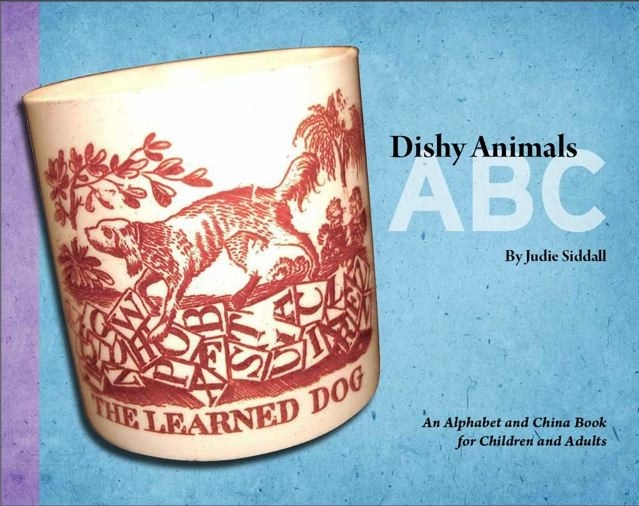 I created a children's ABC book in 2011. I focused on 19th century transfer printed children's plates and mugs that focused on animals. I had just photographed more than 500 items from the incredible collection of children's pottery owned by Dennis and Ann Berard to use on the Pattern and Source Print Database of the Transferware Collectors Club when I realized that I could use some of the material for a book. 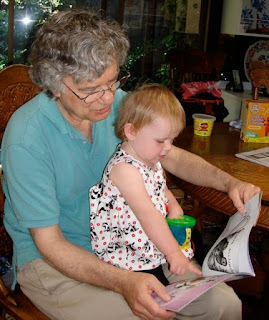 I also had a one year old granddaughter who I though might enjoy a new ABC book. In the back of my mind, I was also hoping that she might get enthusiastic about pottery (she is nearly three now, and does love it!). Here are some examples from my book. 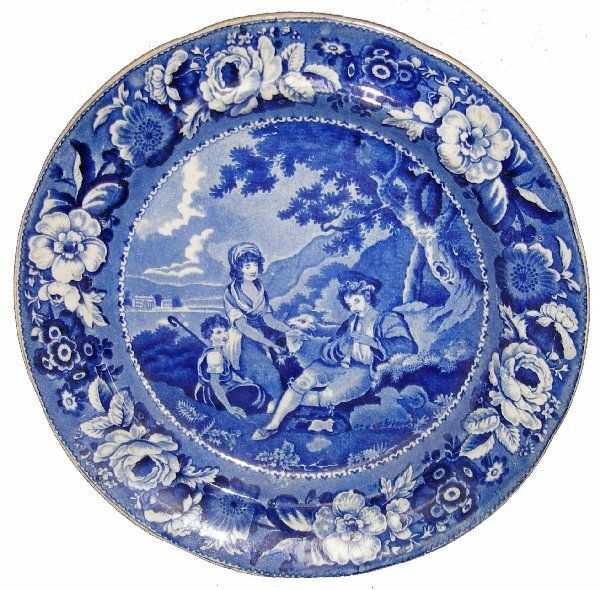 You can order it from my website, www.merlinantiques.com or directly from me. 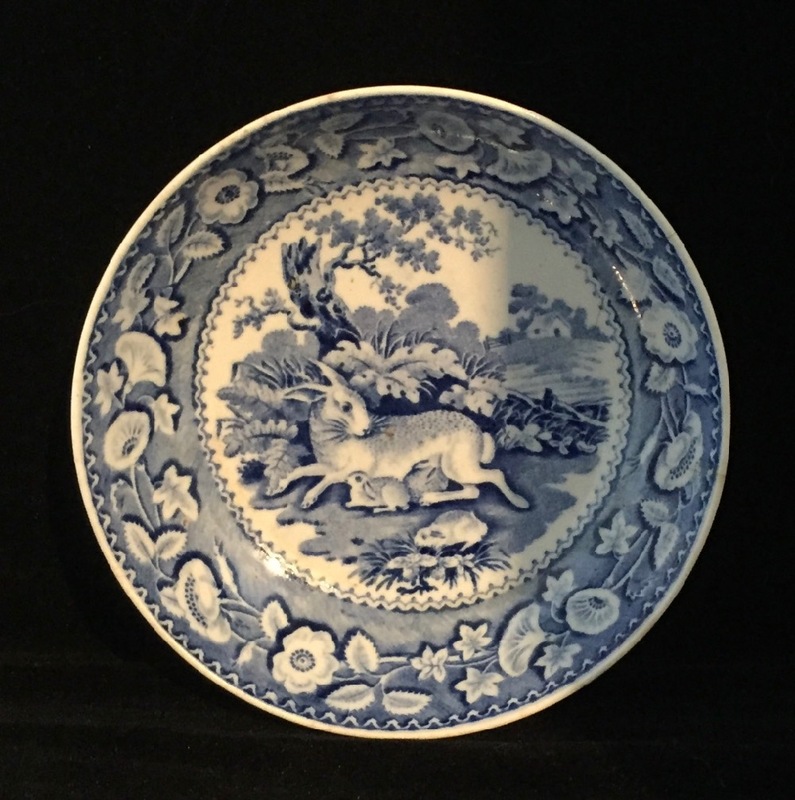 The Pattern And Source Print Database of the Transferware Collectors Club has thirteen different categories and many, many sub-categories. 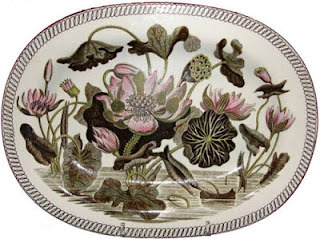 Today I am showing you one of my favorite patterns from the Floral and Botanical category. The Water Lily pattern was originally engraved in 1808 for printing in brown with enamelled decoration. However, the pattern was expensive and difficult to make. In 1811, Josiah Wedgwood II gave instructions that it should be removed from display, saying it would be reissued in blue with an altered border. 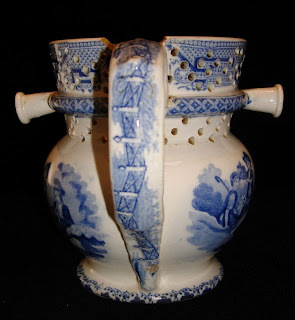 The resulting pattern was one of the finest of the period, and it enjoyed a long life. The center pattern consists of 3 flowers: 1) Sacred Lotus of Buddha, 2) Starry Water Lily, and 3) Lotus of Egypt. 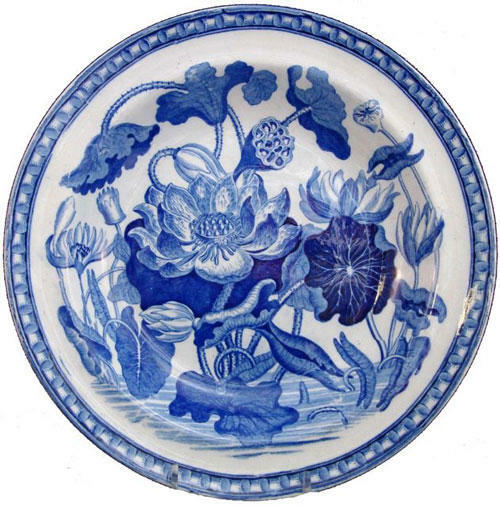 The patterns were copied from source prints found in books and magazines that featured botanical drawings and engravings. 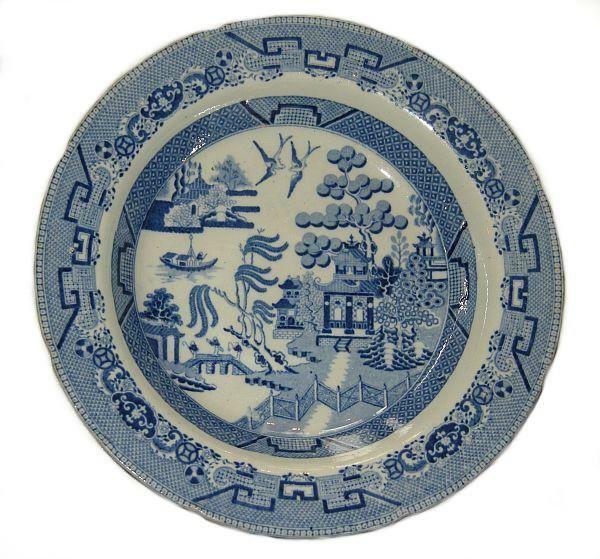 I learn so many new things while I am researching transferware patterns as an editor of the Transferware Collectors Club Pattern and Source Print Database. 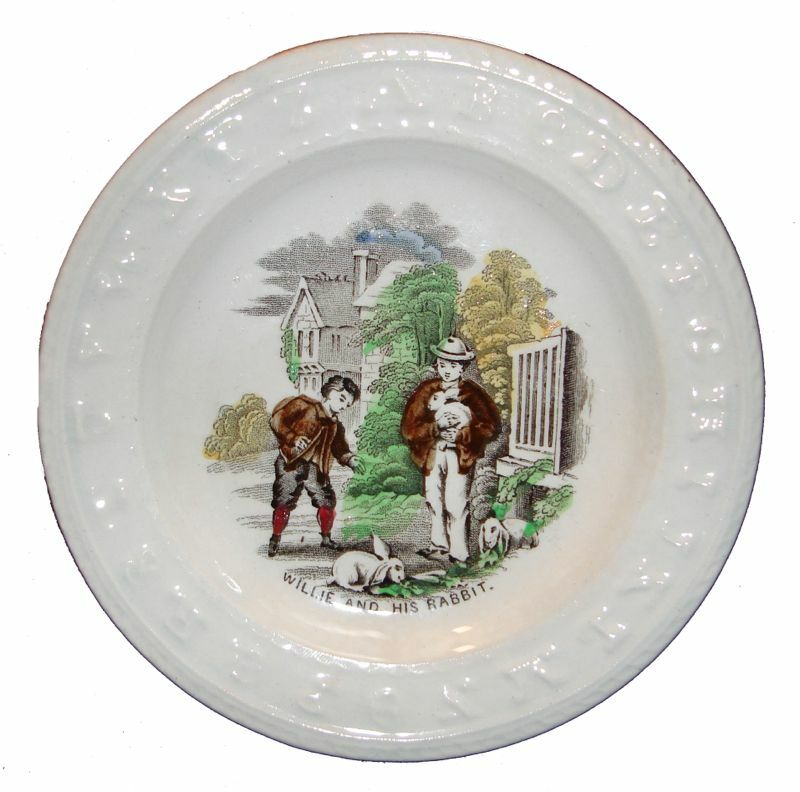 I recently entered a 19th century child's plate with sign language images. 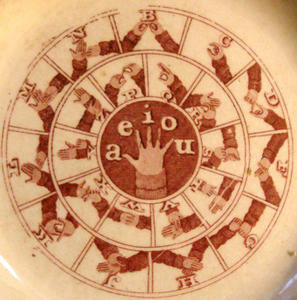 The pattern shows hands illustrating the sign language alphabet consonants in two circles surrounding a single hand showing the vowels. It is an example of the British Manual Alphabet which uses two hands rather than the American Manual Alphabet which uses one hand. I never realized that although Americans, Englishmen, and Australians share a common oral language, they do not share a common sign language!